As humans, we are naturally drawn toward a good story. This is especially true of consumers: They want to understand how a product or service has helped someone else, to see how it might help them. Getting legitimate followers on social media -- especially Instagram -- is a tough thing to do. It often requires tools, patience and a lot of monitoring and resources. This helps preserve the account while making sure it doesn't fall victim to an army of follower bots. Apps were created to make our lives easier and more organized, and in many ways they do. Apps help to make work more efficient, and this is especially true for public relations, where there's a constant juggling of clients, clips and collaboration. More than one-third of Americans will take a vacation this year, according to a report by AAA. Summer is, literally, the hottest time for employees to request time off and take advantage of a vacation. 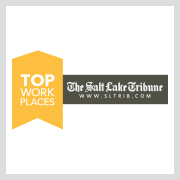 This is no different in Salt Lake City, Utah. The social media giant has vowed to make local news a priority, making your ability to reach your local customer base through the platform a little more difficult in the future. You need to be proactive in your approach and consider that you have news to present as well. Keeping your posts about information that is locally concentrated and topical for your community can ensure you get the results you are looking for with Facebook without abandoning for another medium. Most business owners get into business to make money, profit-seeking business owners welcome cost-based pricing for its straightforward path to calculating profit. All they need to focus on is targeting a sales price that is a markup over cost. Some business owners, however, possess a price sensitivity that leads them to assume their customers share in that trait. Combining price sensitivity with a desperate need to succeed, lead some to the misconception that they need to charge just enough to turn a profit. In either case, the problem is: there is more to pricing than just cost. As digital marketing has grown in importance for today's businesses, so has the role of search engine optimization. SEO plays a huge role in getting people to your website, blog post, guest articles and other content assets. And if you don't play by Google's rules, you'll see your web traffic plummet. Today's consumers are constantly bombarded with marketing messages on every single device they use. With this ad overload, it's become increasingly difficult for brands to stand out in a sea of competitors with similar offerings. Even if you manage to rise above the noise and reach a customer, you then face the challenge of building brand loyalty. When a company makes a significant change to its core product offering, it may make sense to launch a rebranding campaign to let existing customers — and the new ones it's targeting — know about its new focus. However, a full-on rebrand takes a lot of time, effort and resources, and your business may not have the bandwidth or desire for this massive undertaking. The use of ad blockers has increased a lot over the years, with a 30% global jump in 2016. Experts anticipate that savvy consumers will continue to opt out of browser ads, which presents a significant challenge for brands that rely on web advertising. If your business isn't taking advantage of using SEO strategies on its website, blogs and social media pages, you're missing the boat in terms of ranking your business in internet searches. SEO is one of the most effective ways to ensure your customers find your business and buy your products. Growing up, the home phone was a permanent fixture that hardly ever needed to be replaced. It’s interesting to consider that keeping up with each iPhone update would mean you’re replacing your phone more often than an average light bulb. We've all encountered awful online ads in the form of pop-ups, autoplay videos and intrusive banners. As more and more consumers seek to eliminate advertisements from their browsing experience (the use of ad blockers grew 30% worldwide from 2015 to 2016), Google has decided to do something about it: On February 15, the internet giant started blocking any ad from its Chrome browser that doesn't comply with the standards set forth by the Coalition for Better Ads. Content creation has become one of the primary activities for many marketing and public relations agencies. Whether it's blog posts, newsletters, whitepapers, infographics, social media copy or thought leadership articles, every brand wants a slice of the content marketing pie to satiate consumers' growing demand for high-quality, valuable information. Your brand's unique value proposition (UVP) is a critical asset that should serve as the core tenet of your marketing messaging. It tells consumers, employees, investors and other stakeholders exactly what your company offers that no others can. It defines your point of differentiation and explains why you're the right choice to help a customer solve their problems. There are three key components to any great advertising campaign: It must communicate a promise, be strategic and come across as effortless. People engage with brands that are real and authentic, not brands that try too hard to be cute or that don’t seem to care. Determining pricing structure is often one of the most difficult tasks for a service-based business. Product-based businesses can easily quantify the cost of making, storing, displaying and shipping goods, but the intangible nature of creative agency work often means that campaign metrics determine your firm's value and worth to a client. In November 2017, Snapchat unveiled a new design that separates content from a user's "friends" from branded content by publishers and creators. Parent company Snap hopes the changes to its popular social app will "lead to more conversations between close groups of friends," and ultimately expand its stagnant user base, reported The Verge. This past September, Amazon announced plans to build a second headquarters to complement its existing Seattle location. Since then, cities across North America have been scrambling to draw the attention of the tech giant in hopes that they'd become the chosen location for HQ2. By the time submissions closed in mid-October, Amazon had received more than 200 proposals from the United States, Canada and Mexico. These Brands Are Using VR To Offer Customers An Exceptional Experience. Here's How. The integration of virtual reality (VR) is gaining more ground across all industries, and your company will have to decide pretty soon whether the technology is beneficial for interacting with your customers. With 30% of consumers likely to buy a product recommended by a non-celebrity blogger, according to a study by Collective Bias, investing in influencer marketing just makes sense. It can be the push in taking you to a new level of awareness with your customers. Picking the right agency for your business takes some effort and homework on your part. 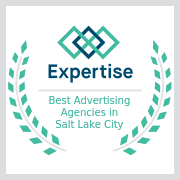 You need to find a company that meshes with your personality and your business style, but you also want an agency that is affordable and in tune with your industry. Many professionals say they want to "work smarter, not harder" to make the most effective use of their time. This is often easier said than done, though – without a clear plan and strategy for your workday in place, most people end up overcommitted, overwhelmed and overworked. In the modern world, flawless design and functionality of digital assets – including your website, social media content and marketing materials – is essential to keeping customers engaged. A top-notch product or thoughtful blog post will go ignored and unseen if it's housed on a site with a poor user experience. To that end, it's important for web developers and marketers alike to keep up with the latest trends and consumer expectations. 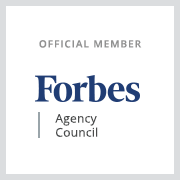 Members of Forbes Agency Council offered their take on popular design trends popping up in this space, and how you can integrate those trends into your branding.